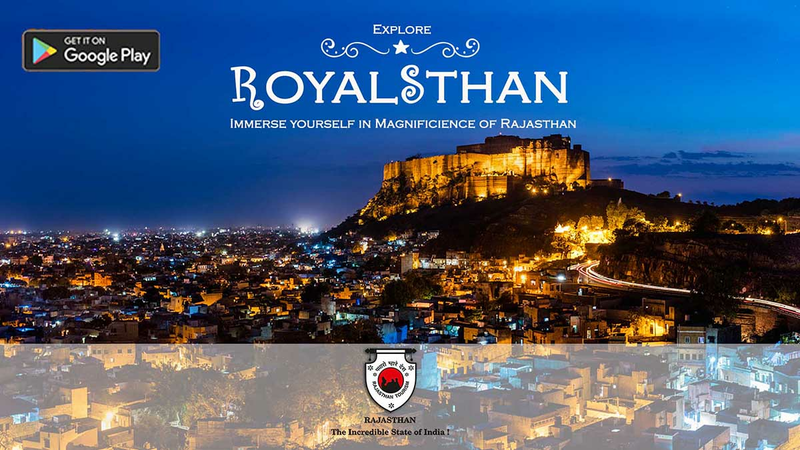 Distinguished as the ancient land of kings, the royal kingdom of Rajasthan is again ready to change into a magnificent Jamboree destination. Shiny and diverse Rajasthan has geared up to celebrate its founding day in a dazzling and enthusiastic way. Organized by Rajasthan Tourism to celebrate the establishment of the state, this festival is full of cultural programs for all age groups from morning till night. This includes chanting, folk dance, music performance, film screening and fashion shows. Thrilled with the enthusiasm of local people and the flurry of events, there is a possibility of a large number of people coming to the Rajasthan to experience this special festival. The eight-day event will witness a variety of rich cultural programmes to celebrate the historical establishment of Rajasthan. Prior to 1947, Rajasthan was famous as Rajputana and the state was consisting of about 22 small and big princely states. At the time of independence, 19 principalities and 3 major ships of Neemrana, Lava and Kushalgarh together comprised Rajasthan. Following the 7 integration steps, the process of merger and integration of Rajasthan was accomplished in November 1956. However, the 4th stage paved the way for the formation of "Greater Rajasthan" in the form of major states like Bikaner, Jodhpur, Jaipur and Jaisalmer. "Greater Rajasthan" formed by Sardar Vallabh Bhai Patel on March 30, 1949. Since 1949, each year the Great Rajasthan Foundation Day is celebrated with great enthusiasm. Rajasthan Festival will be celebrated in Jaipur and all over the State, and lauded Rajasthan has much more to offer that one can ever dream of . This this long festivity has includes chanting, folk dance, music performance, film screening, fashion shows, musical night, army pageant, police tattoo show, grand closing ceremony and much more. People from all over the world come to Rajasthan to enjoy this festival and get a chance to learn about other aspects of Diversity along with Rajasthan's art and culture. The opening ceremony of the event took place at JDA, Polo Ground, Jaipur with lighting of the Rajasthan Day Torch with traditional Nagaras and Police Tattoo Show. A cycle marathon organized by the Sports Department at Albert hall 29th March. The Bal Films Festival was also organized in Centrally Multiplex, Inox Crystal Palm from 29th to 30th March. This fantastic & spectacular event was brought to conclusion at Vidhansabha on 30th March 2018. Previous article RPSC Exam dates schedule out, here is the full list!